Special Light-Sport Aircraft, or SLSA, are 100% factory built light aircraft that may be used commercially for instruction and rental. These aircraft are accepted by FAA after the manufacturer demonstrates compliance with industry consensus standards and proves they have proper manufacturing controls. Since the first SLSA approvals in April 2005, the LSA industry has gained FAA approval for more than 140 aircraft models. 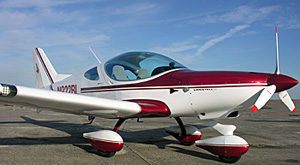 ByDanJohnson.com is pleased to list all of these models in the order in which they were approved for a LSA airworthiness certificate. If you know of an approved aircraft not on this list, send us an email and tell us about it. Keep up with all these new approvals returning to this page frequently. The newest FAA-accepted SLSA appear at the top (default view). Click the No. header to see which aircraft received certification first. Sort the list to find what you want. Reorder the list by clicking on the up and down arrows next to each column header for Certification Order number (No. ), Airplane Model, Manufacturer, or Importer. “(U.S. Built)” after an importer’s name signifies that the primary fabrication is done in another country — or the design was created in that country — but the U.S. builder buys components and assembles the aircraft in the USA. This is permitted as an “extension” under defined conditions. Once you’ve found airplanes of interest, use search to find content about each aircraft here on ByDanJohnson.com or you can click to the manufacturer’s website, or its U.S. importer. Vulcan C-100 SAB Aviation S.r.l. Bristell (NG 5) SLSA BRM Aero, s.r.o. Virus (glider) Pipistrel LSA s.r.l. Virus SW Pipistrel LSA s.r.l. Corbi Alto 100 Direct Fly s.r.o. BushCat (Cheetah XLS) Rainbow SkyReach (Pty) Ltd.
Samba (Samba XXL) Distar CZ a.s.
Breese 2 DS (SLSA) M-Squared, Inc.
Legend XL Tandem Six Chuter, Inc.
Legend P103 Six Chuter, Inc.
Sky Trek Soaring Concepts, Inc.
Legend XT SSDC Six Chuter, Inc.
Lambada UFM-13 Distar CZ a.s.
TST-14 TeST, spol. s r.o. Sky Arrow Magnaghi Aeronautica S.p.A.
Breezer II Breezer Aircraft GmbH & Co.